Chipmunk (Koona) Racer. 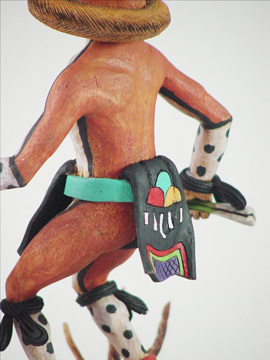 This kachina is very fast on his feet and generally beats his opponents. 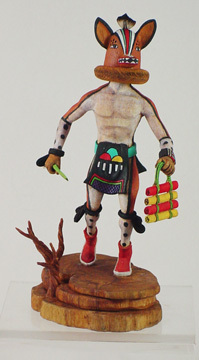 He carries a yucca whip with which to beat the loser. 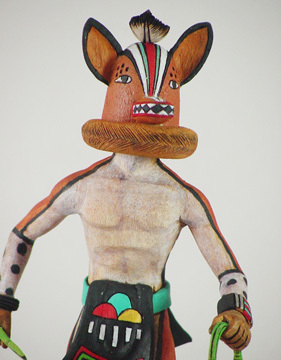 Malcolm Fred originates from a whole family of Kachina carvers including his five brothers Verlan, Glen, Nathan, Henry & Jim. 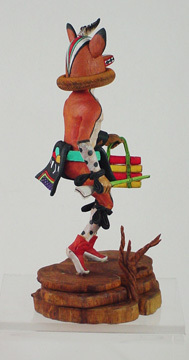 The Fred family, including Malcolm, belong to the Roadrunner and Greasewood native clans. 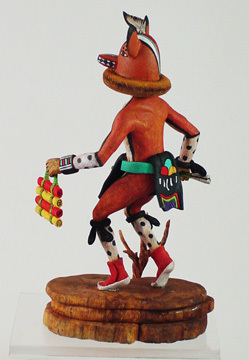 Malcolm was raised in the village of Bacavi. 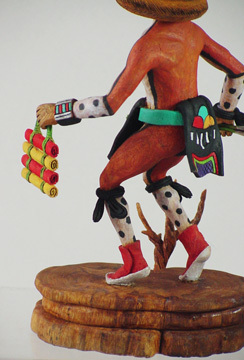 He has been carving fantastic katsinam since he was a teenager and now, after 25 years, is a well known kachina carve all over the world. 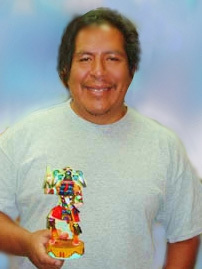 Malcolm Fred kachinas have won many awards, including the ``Zuni Fire God'' award in the Arizona State Fair in 1996. 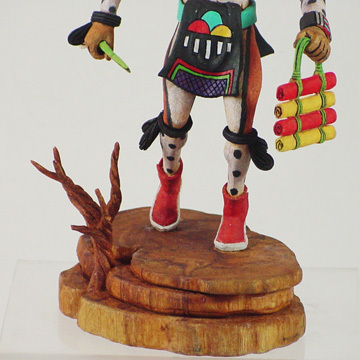 His artistic inspiration comes from his spirituality, natural and cultural history, and the freedom of expressing his inner feelings. 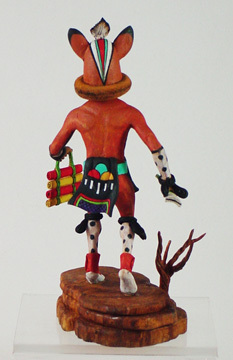 The kachina that Malcolm most frequently carves is called 'The Whipper", though his "Flute Player" is also a favorite. Malcolm continues to achieve incredible realism in his figures, and is known for his large and well-proportioned figures.